“Today is a historic day. Tbilisi now has its own general plan - the constitutional development of the city. 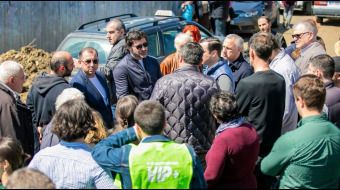 The document will be adopted today at the meeting of the City Assembly to provide for further correct and long-term development of the capital, ” Tbilisi Mayor Kakha Kaladze said before the meeting. In the past 25 years a lot of problems have accumulated, including chaotic , construction, difficult economic situation, traffic jams, poorly developed public transport, and much more. All these problems were caused by the lack of a systemic vision and a single action plan. “All the mistakes made in recent decades can’ be fixed in one day but this will be the starting point from which a news stage of the city development will begin,” the Mayor said.